Only one week was needed for Google Fiber to take off in Kansas City (Kansas and Missouri). 46 designated „fiberhoods“ were qualified for the service as it was reported on the Google Fiber site. A week ago Google's fiber-to-the-home network was announced offering speeds of up to 1 gigabit per second along with TV service. They started the project in neighborhoods that showed the most interest based on pre-registration for the service (and a US$10 fee). 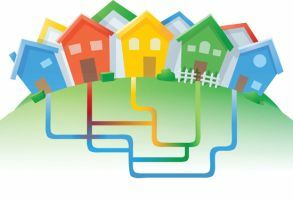 Google has already managed to sign up 23% of the eligible neighborhoods, with 40 out of 128 eligible „fiberhoods“ from Missouri (31%), and 6 out of 74 in Kansas (8%). Analysts at Macquarie Capital estimate Google has signed up 7,000 out of the 165,000 possible households. Google PR said „ We didn't really know what to expect. But we're thrilled with the progress so far. And we're working hard on the ground to educate people about the benefits of the fiber network.“ They do this by sending trucks with educational material about fiber networks and creating demonstration centers where local residents can learn more about the benefits of having a fiber network. Considering that Google's biggest competitor, Time Warner Cable, can only offer 50Mbps internet servie for US$80 and a total package with TV and phone service at $200. Google's US$70 for 1Gbps internet service (including 1 Terabyte of data on Google Drive) and US$120 for total package (with TV Service)is sure to attract more customers. Although Google is operating at something of a loss the reduced price will have benefits to both Google and the consumer (even if they get 25% of Kansas City households they would still operate at a loss). It is certain that this initiative is about pushing current providers to increase speeds and innovate, while Google is certain to be getting benefits in the long run.